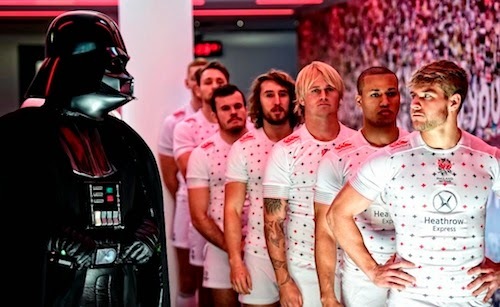 Darth Vader and a select squad of Stormtroopers will descend on the home of England Rugby with the galactic themed 2015 Marriott London Sevens on the 16th-17th May. While scrum wars will be at play on the field, the number of spectators rocketing through the gates is set to be out of this world. Darth Vader’s appearance at Twickenham Stadium has been captured in a TV ad which airs from today and can also be viewed on YouTube. Catching several people off guard including a startled C-3PO, Darth Vader stood face-to-face with the England Rugby team who were unmoved by the notorious villain. A showdown between the forces of light and dark saw neither give an inch, ensuring the real action will be seen between the international teams on the pitch in May. 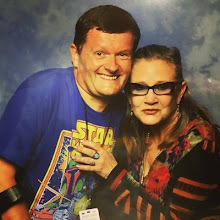 The 2015 Marriott London Sevens galactic theme will see many of the spectators arriving inStar Wars fancy dress so expect to see plenty of Darth Mauls, Luke ‘Try-walkers’ and ‘Jabba the Rucks’. 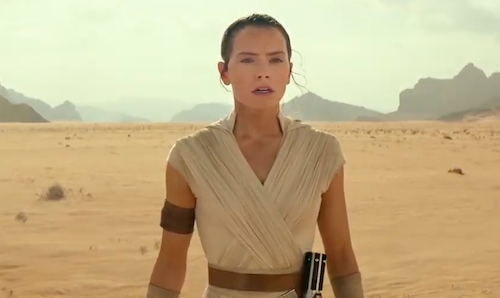 The fast paced conclusion to the HSBC Sevens World Series will see the players utilise more mind games than mind tricks and will see displays of superb team play and (Han) solo brilliance.